In conjunction with Home Energy Aid Month – Oklahomans Helping Others with Utilities, events are being held across various parts of Oklahoma to help Oklahomans in need. The Salvation Army is working to keep individuals and families housed and off the streets through utility assistance programs. 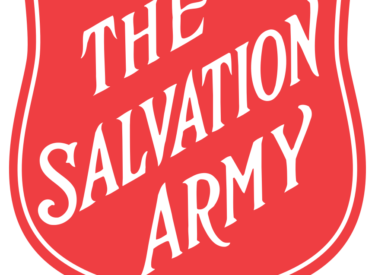 The Salvation Army of Ponca City is pleased to announce a partnership with restaurants where a portion of the proceeds of your meal will be donated to The Salvation Army’s Utility Assistance Fund when mentioned to your server. On July 18, Schlotzsky’s will donate a portion of proceeds to the cause. On July 25, Chili’s will donate a portion of sales. The Fan Drive will also be held from 9 a.m. to noon on Tuesday and Thursday at 111 W. Comanche. Call Steve Gales at (580) 763-2421 to coordinate a different time. Monetary donations are also being accepted as partners match a portion of the cash donations received during the month of July. Individuals can help The Salvation Army and its energy partners OG&E, ONG and PSO with financial contributions through Home Energy Aid Month this July. Funds raised at the event stay in Kay County. Last year, a little over $404,000 was provided in utility assistance to 9,632 individuals. The number of persons requesting utility assistance continues to grow each year. Imagine being without air conditioning in the Oklahoma summer or without heat in the winter when temperatures reach single digits. For many, such as persons with disabilities, young children and people with breathing issues, it can be life threatening. Unfortunately, in most communities we are only able to help a handful of households per month due to limited funds available for utility assistance. It is not uncommon after the first couple of days of the month to be out of utility assistance funding, yet the calls keep coming. To help assist those in need, utility customers are encouraged to support energy assistance programs year-round. The Salvation Army receives between hundreds to thousands of requests for assistance with utility bills annually. Studies show the cost of helping an individual from homelessness to stable housing is about $8,000 per person. These same studies indicate the medical consequences of being homeless add an additional cost of $2,000 per person in medical expenses. In contrast, the cost of helping those same individuals with utility expenses to keep them housed is considerably less. A few hundred dollars of utility assistance for a family or individual can mean the difference of being able to stay in a home or becoming homeless. If someone wishes to support the utility assistance program, a donation marked “Home Energy Aid Month” may be sent to The Salvation Army, PO Box 549, Ponca City, OK 74602, or they can submit a donation by checking the box on their utility bill. For more information, call The Salvation Army at (580) 762-7501 or visit www.HomeEnergyAidMonth.com to make an online contribution.